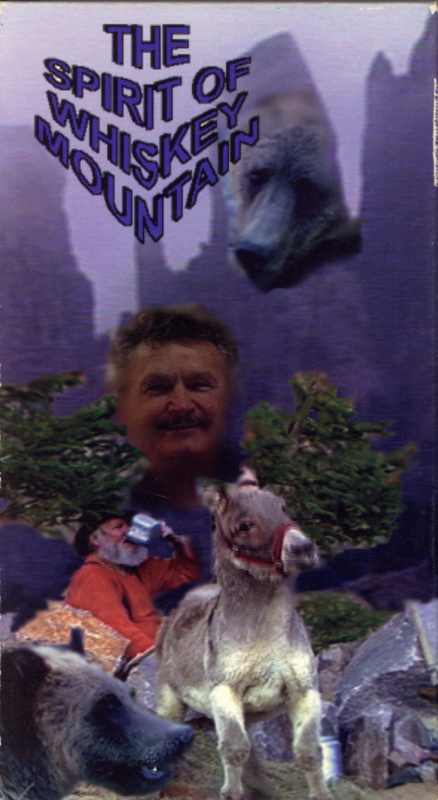 The Spirit Of Whiskey Mountain on VHS. Presented by The Wildlife Unlimited Foundation. Rare VHS starring Bill Porter. Produced and Directed by Bill Porter Sr. Music by Bill Porter and Frank Woehrle. 1995. Bill Porter leads a pack horse adventure into the great beauty of the windy mountain range. He weaves the legend of Whiskey Mountain, two original songs, and spectacular scenery in this unique video. You’ll see more wild animals in their natural habitat than ever before. And you’ll hear “I Walked on the Mountain” and “The Legend of Whiskey Mountain” — two original songs written exclusively for these videos by Bill Porter and Frank Woehrle.